A new generation of home owners are discovering vintage G-Plan for the first time. Many people looking for quality furniture for their homes are turning to pieces from the 50s and 60s; in particular, G-Plan, as it was better made than modern copies and is bang-on-trend in a modern setting. Vintage pieces are now commanding high prices both on the high street and online. G-Plan was launched in the 1950s and was actually a generic term used for modern furniture in the way we still use the name ‘Hoover’ for vacuum cleaners. G-Plan was not cheap, but it was the brand most people aspired to own. 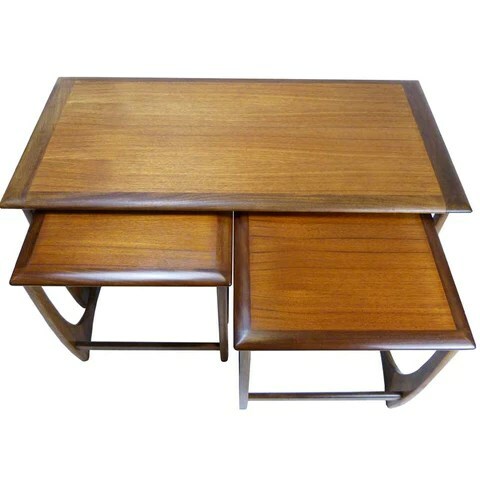 The family firm, E Gomme, had made traditional style furniture for many years previous, but in 1952 they brought the firm up-to-date when they launched G-Plan. This combined modern style, a recognised national brand name, and a clever concept. Brandon was a contemporary style typical of the early 50s. Typically finished in light oak, it had a bright look and feel to its collection of tables, chairs, wardrobes and sideboards. 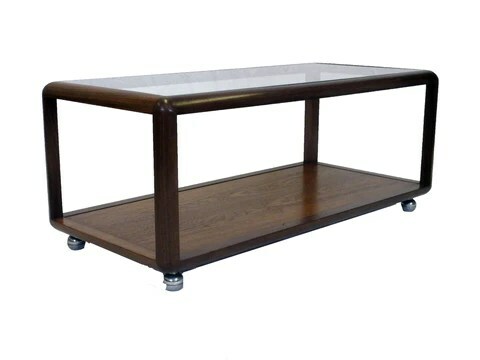 Simple uncluttered designs, some with elegant splayed legs re-creating key styling of early fifties contemporary design. G-Plan borrowed many ideas from designers such as Robin Day, who pioneered contemporary furniture design. Gomme ensured the style of G-Plan was updated throughout the 1950s, 60s and 70s; the original light look of Brandon gave way to the glamorous and darker Tola, or African mahogany, with black ebonised legs and brass fittings. Sadly, 1960 was a bad year for G-Plan – the new range for the year was not inspiring; it was yet another variation on tola, black and brass, which was by then already deemed to be old fashioned. In 1962 G-Plan launched a large wing-back swivel armchair that was available in several fabrics, but the classic 60s style buttoned black vinyl was by far the most sought after. Its very masculine statement could have come straight out of a 007 movie. The inspiration for the chair was probably the 1958 Egg Chair designed by Arne Jacobsen which was similar in shape, but a simpler and plainer creation. Gomme proudly proclaimed that the G-Plan wing-back was the ‘World’s Most Comfortable Chair‘ ! In 1962 Gomme hired their own Danish designer, Ib Kofod-Larsen, who designed a completely new range; G-Plan Danish. 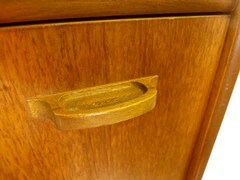 The flagship and highlight of the range was a 7ft 6″ sideboard in gorgeous teak, with complimenting square rosewood handles. The height of fashion in its time, elegant and practical. Featuring deeply sculptured handles and legs, combined with strongly patterned teak veneers; G-Plan led the market in the late 1960s when they introduced their most successful range, Fresco. The chairs had sculptured legs finishing in a circle at the top and bottom, the sideboard was large, 7ft long, with distinctive sculptured handles on the drawers which appeared to ‘smile’. Fresco wasn’t just for the dining room but also for bedrooms; with a range of wardrobes, chests of drawers, and a new dressing table. Gomme continued to position itself at the top of the 1970s popular market with the emphasis on design and quality, rather than price. 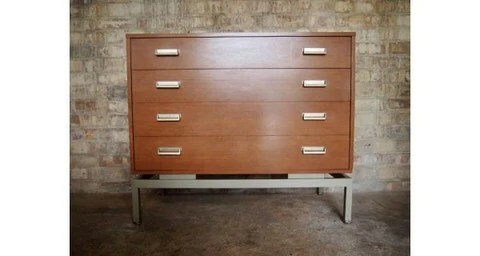 In 1996 the Morris Furniture Group acquired the licence to make and market G-Plan Cabinet furniture in Glasgow. Now known as ‘G-Plan Upholstery Ltd’ it successfully continues to manufacture most of its sofa and armchair products within the UK. This entry was posted in Uncategorized and tagged #1950s, #1960s, #1970s, #design, #mid-century, #renovated, Brandon, Danish, Fresco, G-Plan, Gnomme, Ib Kofod-Larsen, Limba, retro furniture, Rosewood, teak, Tola, vintage, Wingback. Bookmark the permalink.